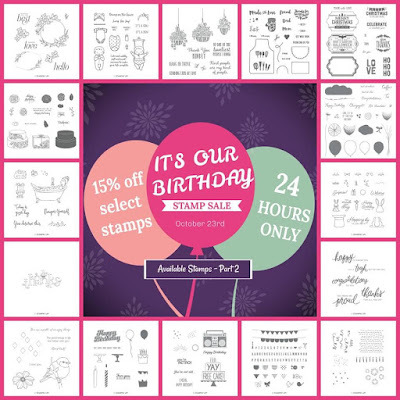 IT’S OUR BIRTHDAY STAMP SALES STARTS TUESDAY! 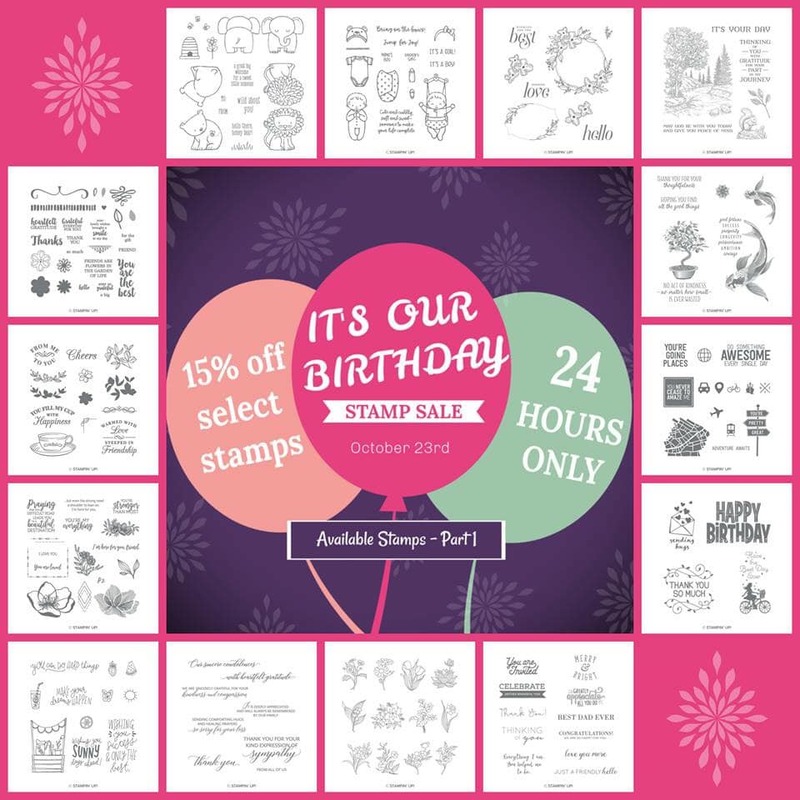 We’re turning 30, and on October 23, we are throwing It’s Our Birthday Stamp Sale to celebrate FOR 24 HOURS ONLY, YOU CAN SAVE 15% on select stamp sets. Use host code # XTSPE3BF for your orders over $30 for a surprise from me at the beginning of November. The Snow is Glistening products are currently on a Demonstrator pre-order and will be available to customers on November 1st. They are a Limited Time set of products and will only be available while supplies last so save the date to get yours. If you want it now, considering joining our team. Products available while supplies last until November 30, 2018. This means products will only be available until November 30 or while supplies last, whichever comes first. If a product’s supply is depleted before November 30, it will no longer be available for purchase. 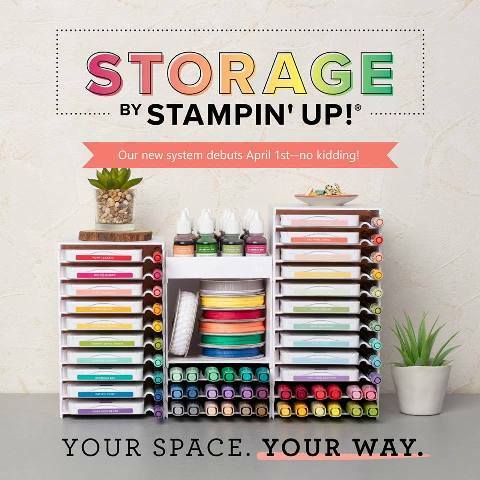 Check out the products and samples and accessories HERE! 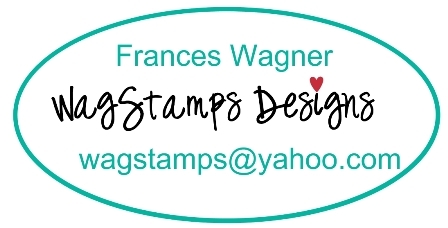 Between now and October 7th, Stampin' Up! 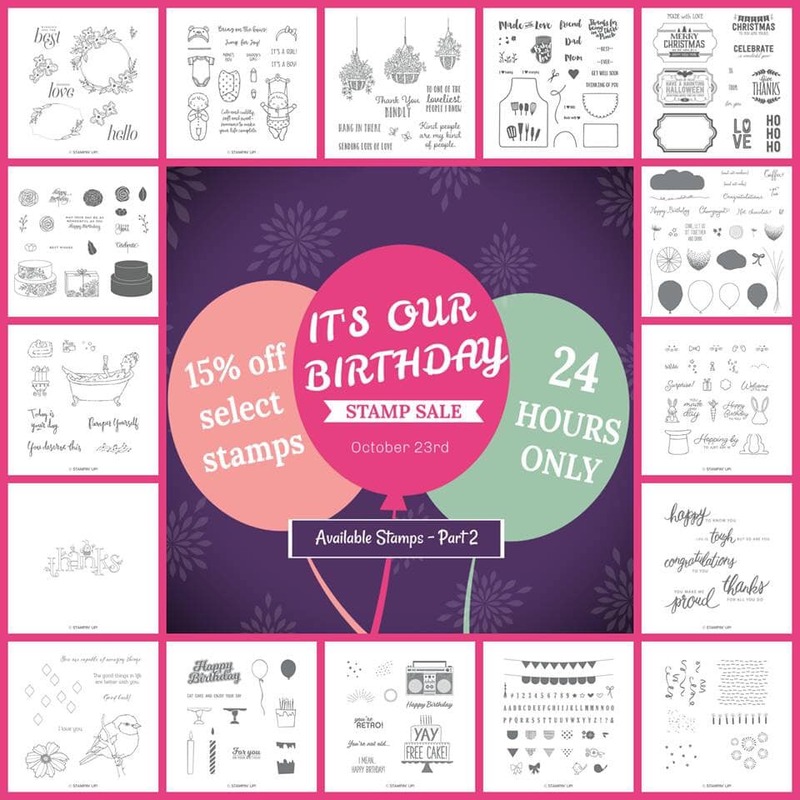 is offering a discount on basic card making products. 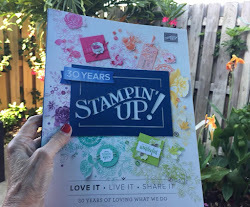 My favorite stamp sets are Petal Palette and P.S. 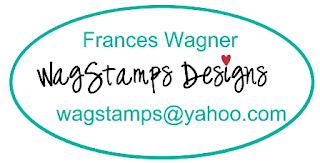 You're the Best and of course the Stampin' Dimensionals which I use every day. Check out the list HERE! 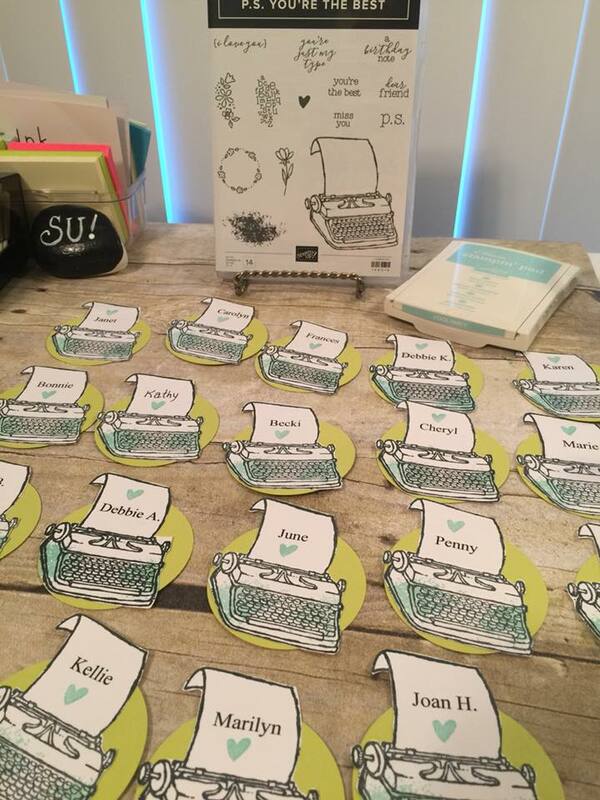 Below are name tags I made using this cute set earlier. STAMPARATUS ACCESSORIES ARE HERE !!! 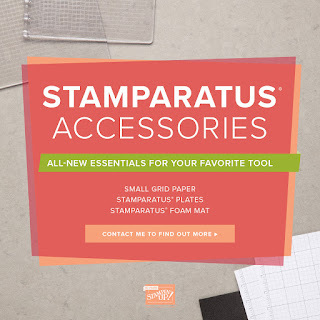 I know I am loving the accessories, how many of you have been cutting up you regular grid paper to work with? I am raising my hand high on that one. 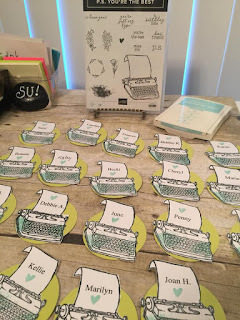 Plus the extra plates, do you ever have more that 4 things you want to do to a project and say to yourself if only I had another plate it would be so much quicker. NOW YOU CAN GET EXTRA PLATES. CHECK IT OUT BELOW. 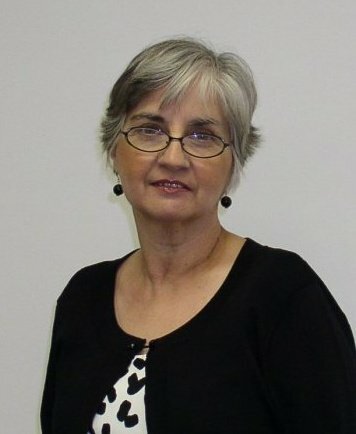 Thanks for stopping by and let me know if you have any questions. If you order $30 or more from my website HERE make sure to use my October host code XTSPE3BF so I can send you a surprise in the mail.